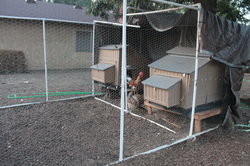 These are Large Snap Lock Plastic Coops. Just under $700 for the large model. 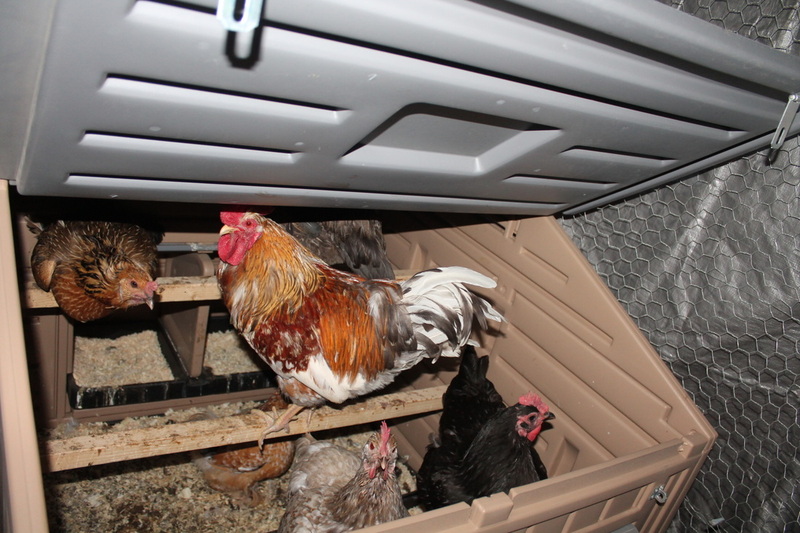 They are super easy to assemble, lightweight & portable & relatively easy to clean with removable trays. 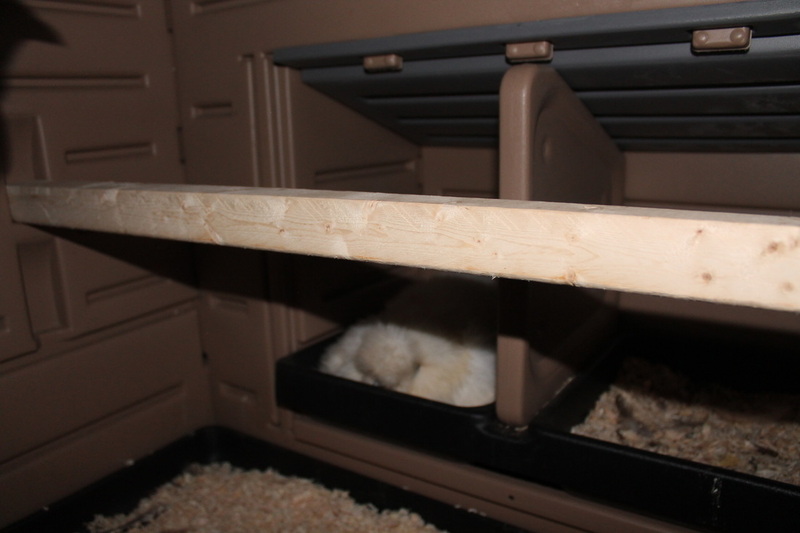 With three adjustable height roost bars they house 8-12 chickens or more bantams. 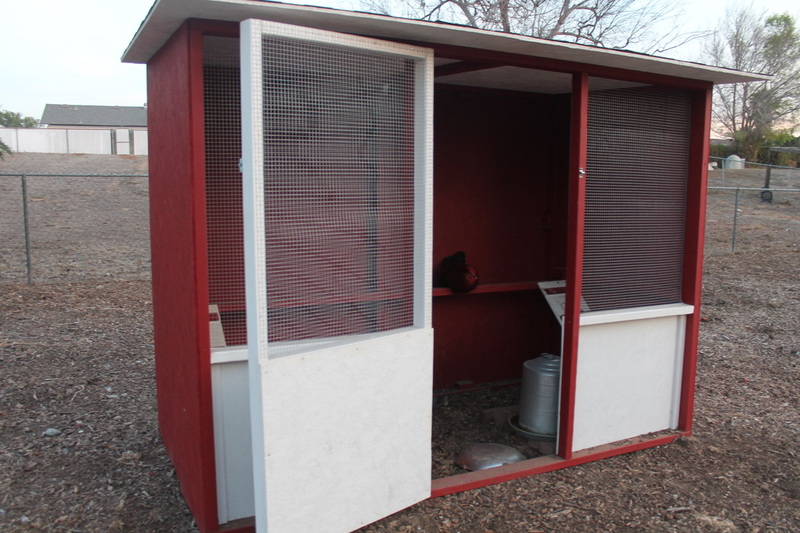 These stay nice & cozy in the winter but can be hot during the summer if they are maxed out with chickens. They should be kept under shade. 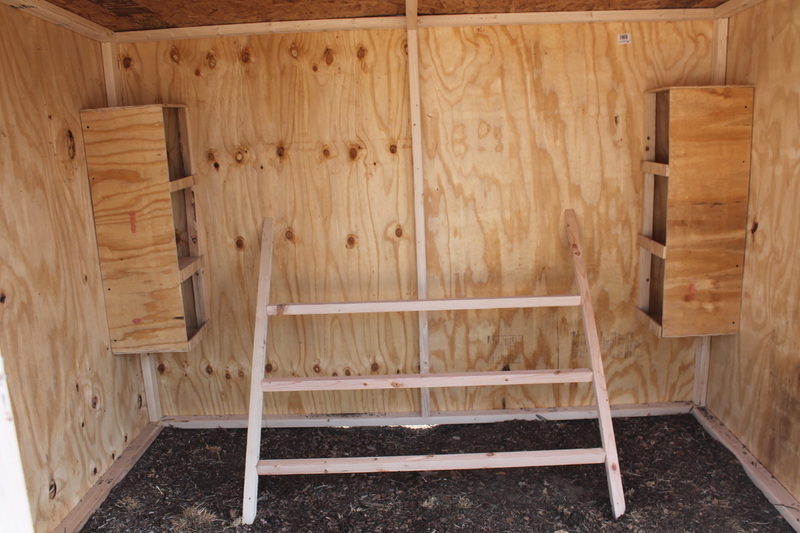 They do not come with the platforms they are sitting on in these pictures, nor the pvc/tarp run that I put together to house them in. 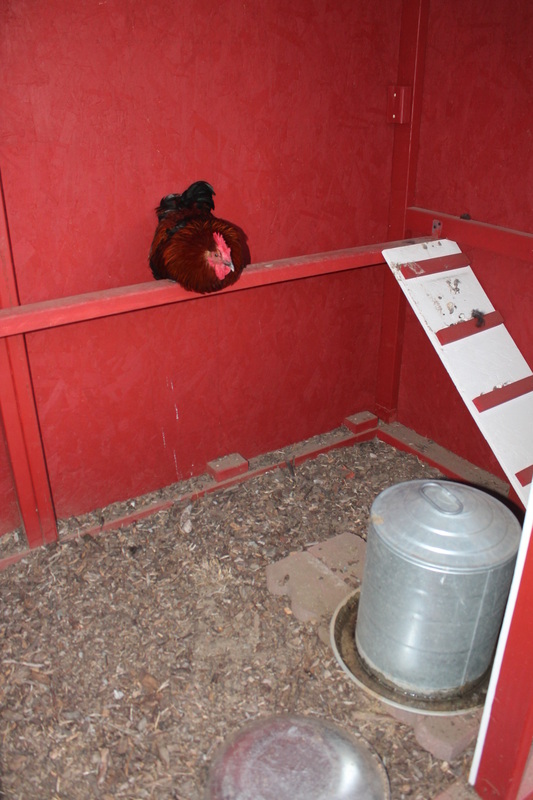 Light Brahma is a large chicken. 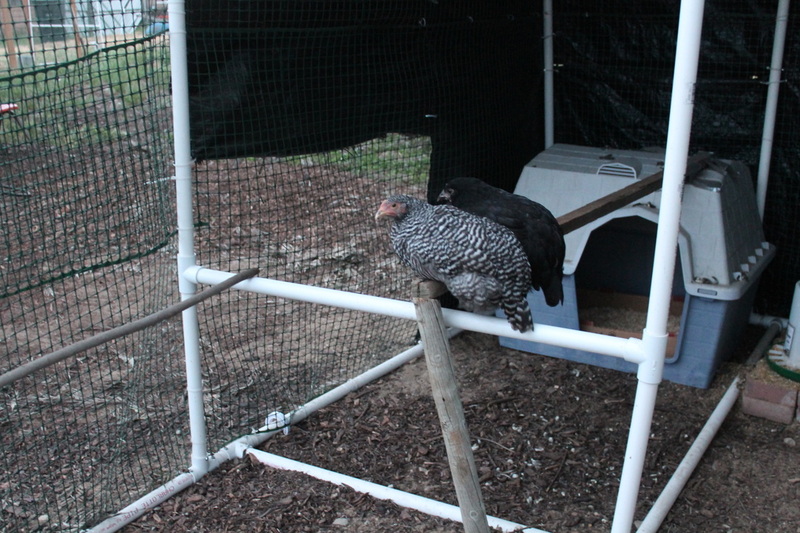 She had trouble at first hopping up to nesting bar but figured it out. 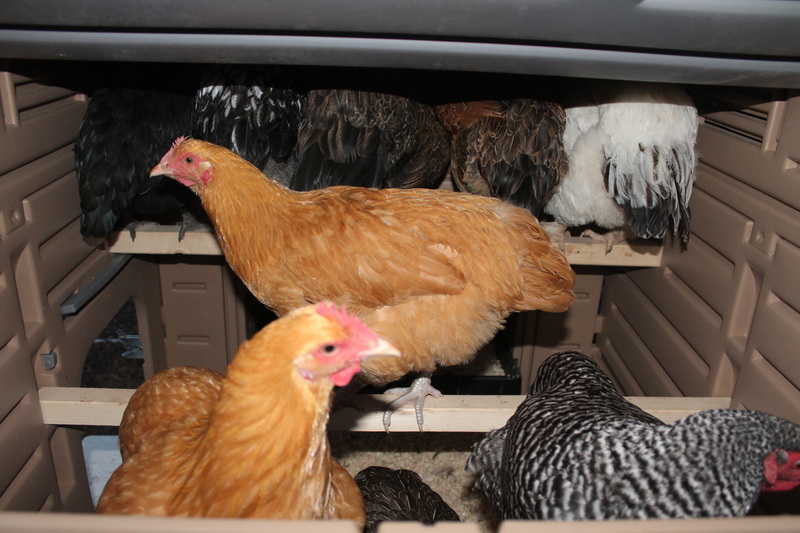 To clean, take out bottom trays & nesting box trays thru removable space in back & wash. 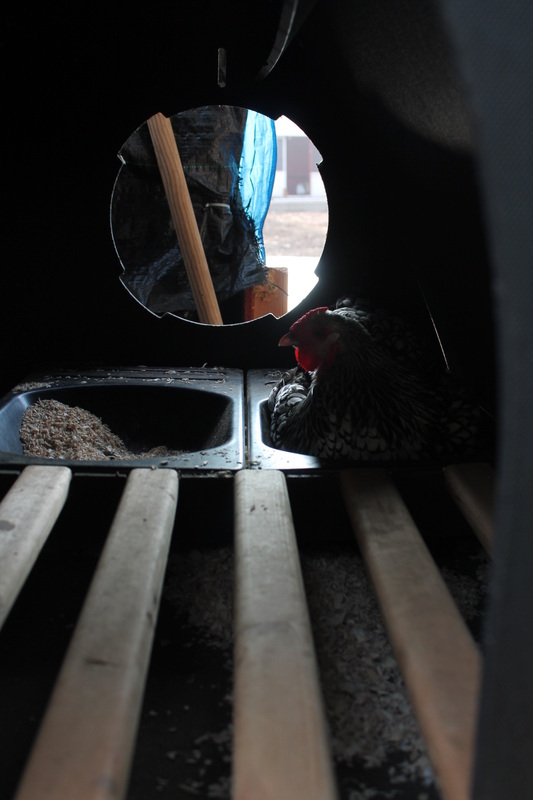 Hose down inside of coop, tilt it sideways to let extra water run out. 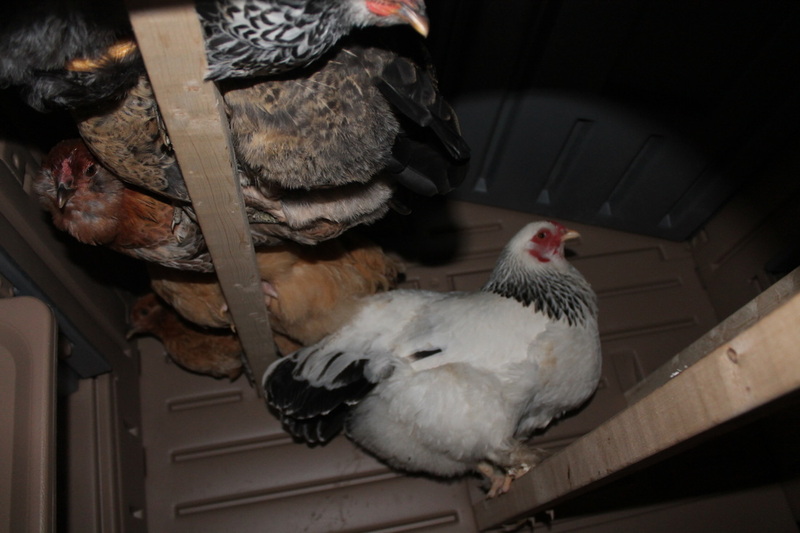 The plastic dries pretty quickly but can be towel dried in cooler climates. 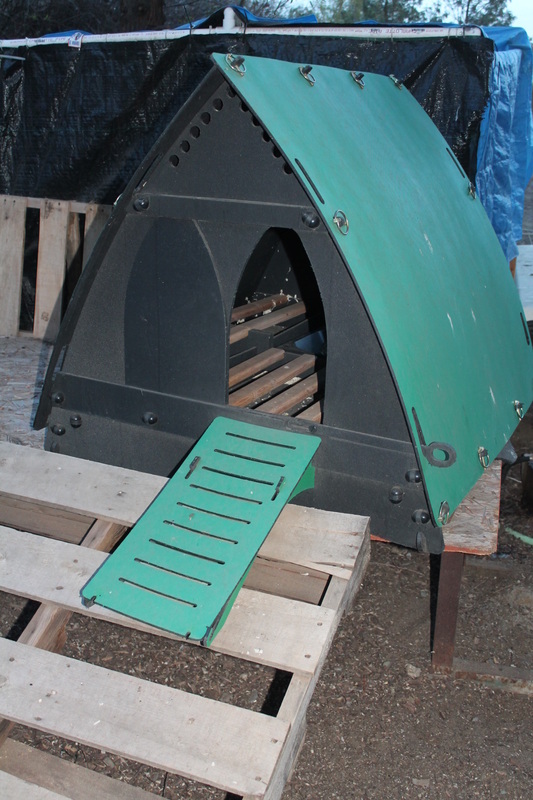 This is a Brinsea Churchill coop. Very decorative, around $700. 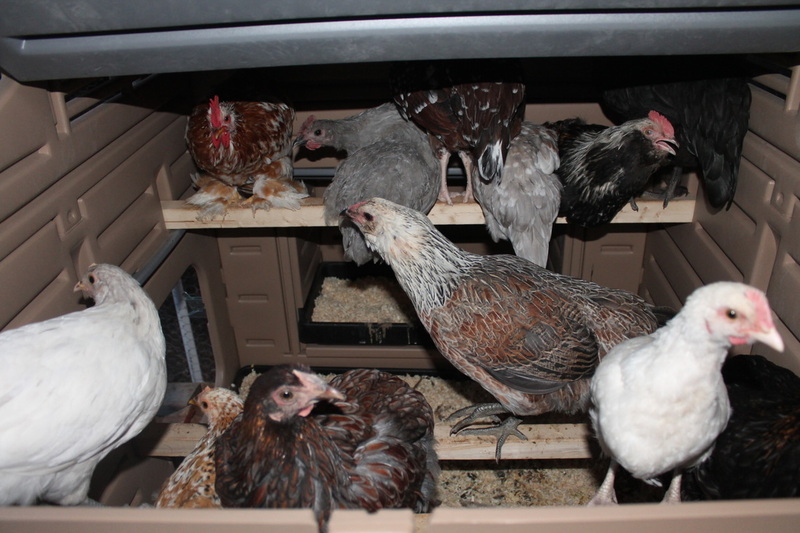 Not practical for more than 3 chickens or 5 bantams. 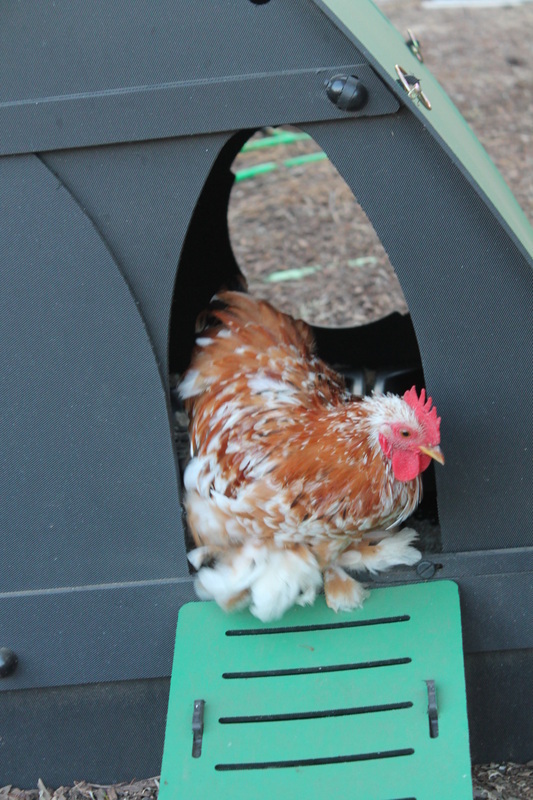 None of my chickens choose to roost in this coop but many of them enjoy it for egg laying as it is in a nice shady location. 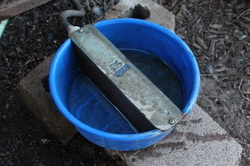 Because of its material it will last a long time & is pretty easy to clean. 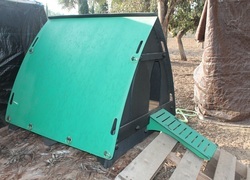 It wasn't anywhere as easy to assemble as the Large Plastic Snap Lock coops. 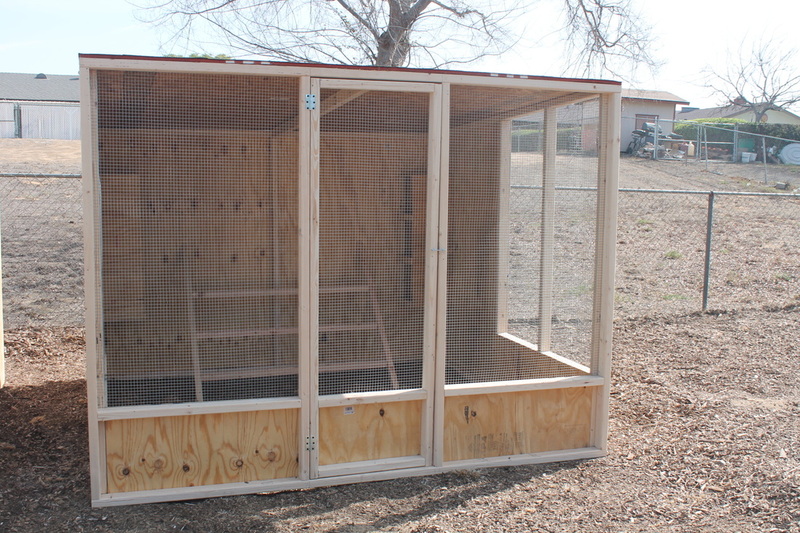 Found this small rabbit hutch online for $60. 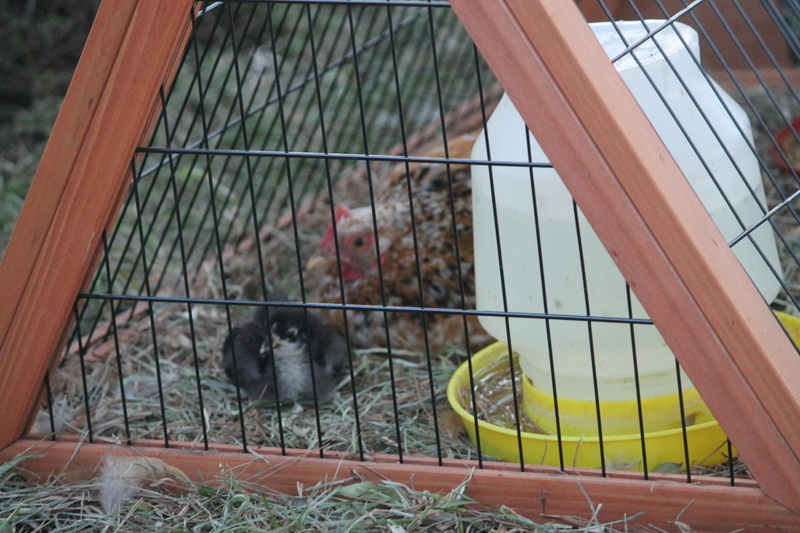 Good for chicks but they can escape thru the bars, needs to be reinforced with hardware wire. Very easy to assemble. 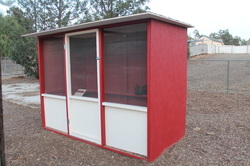 This is an 8 x 8 walk in coop built by SantanValleyCoops or Arizona. 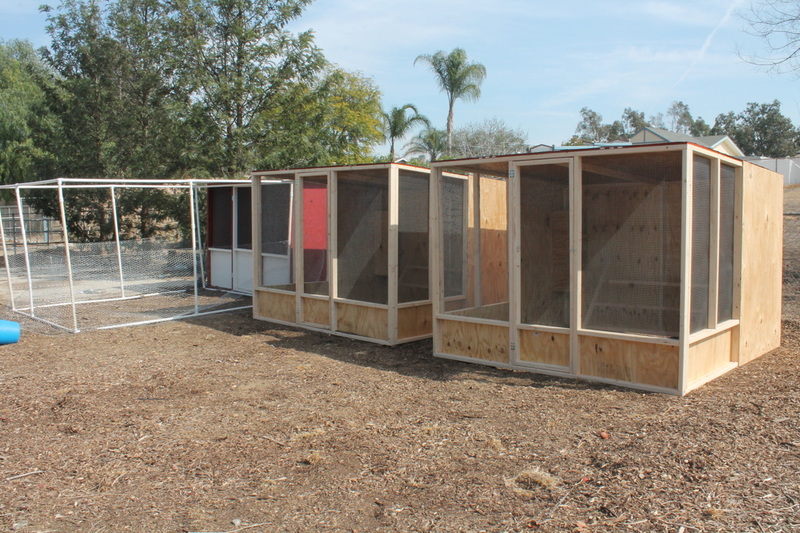 They take orders & then travel to Southern California and deliver & assemble the coops. 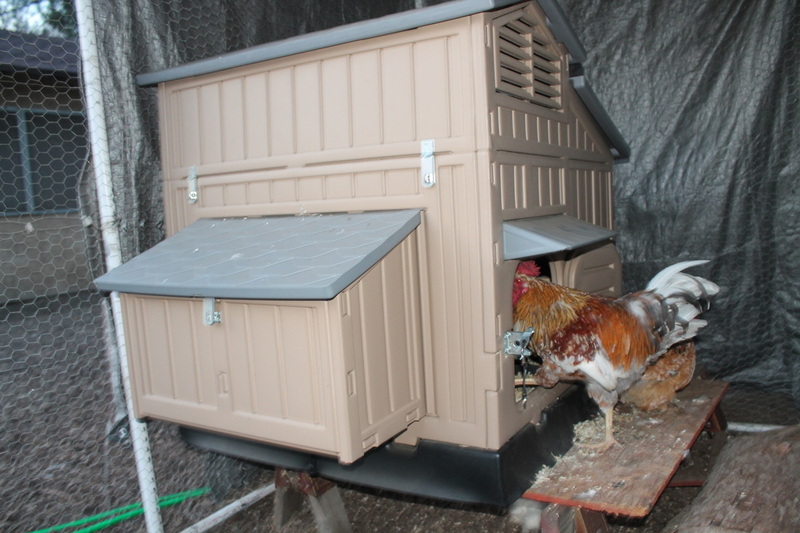 They won a design contest sponsored by Purina for their "Dream Coop" design for their chicken factory coop. We haven't had a chance to paint them yet. 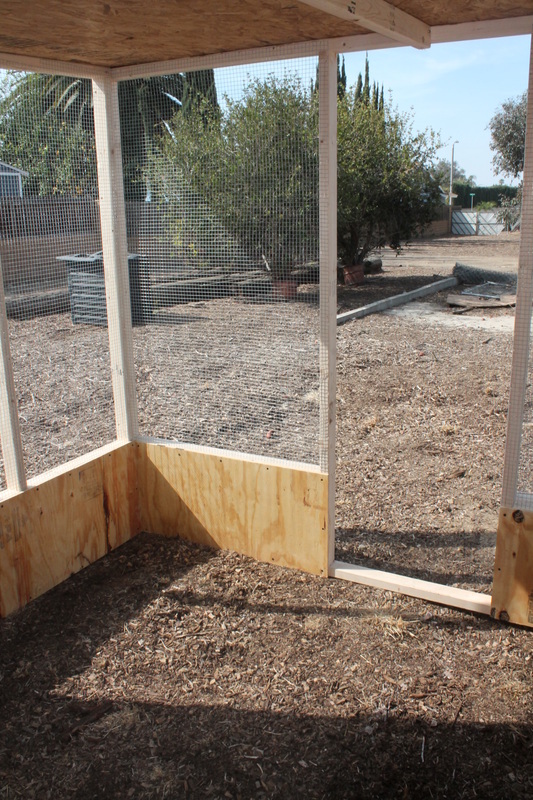 This is a do it yourself run with S40 PVC pipe, screws to hold the fittings together. It got pretty beat up in the strong Santa Ana winds as the tarp was used as a sail so it was moved behind a tree which has worked out pretty well. 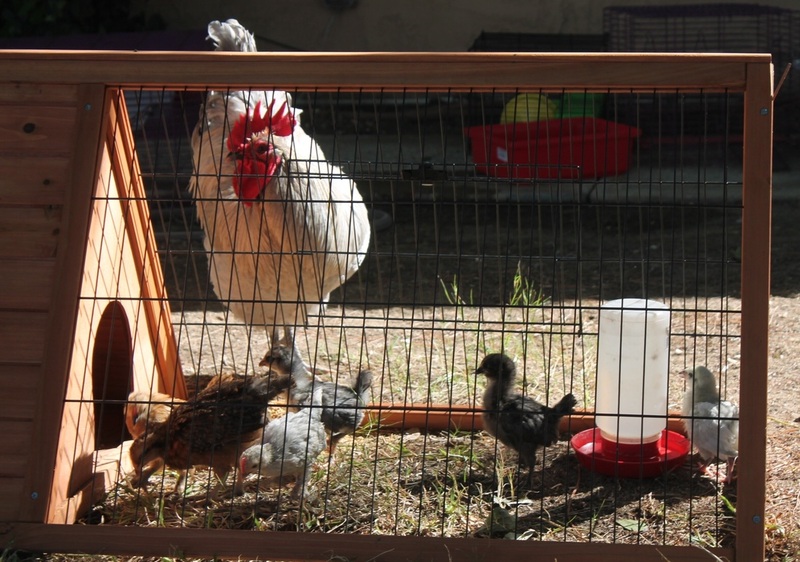 I have learned that cable ties break over time & using galvanized bendable wire to attache the poultry fencing to the pvc pipe works well although it takes much longer than cable ties. I also use screws & thru the pvc & fittings to hold it together (I have fixed the broken spots since this picture was taken). Here's another PVC creation. 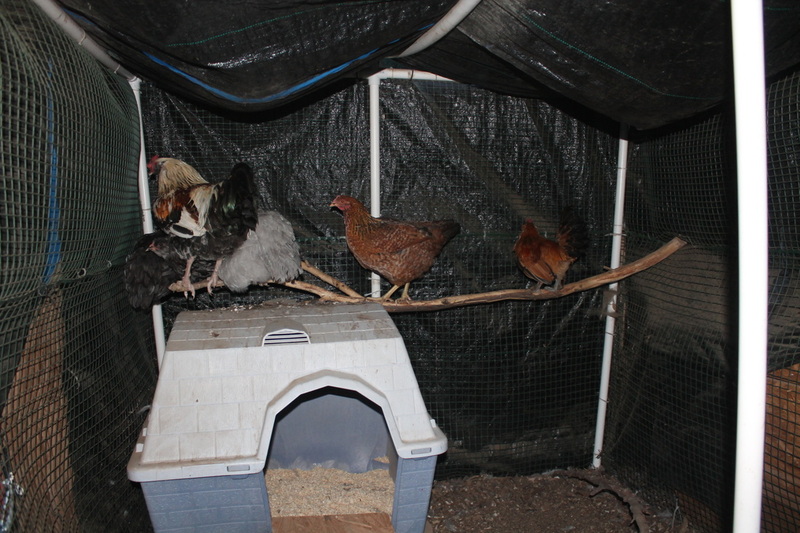 The tarps protect the chickens from the wind & rain & they are happy to roost on a tree branch. 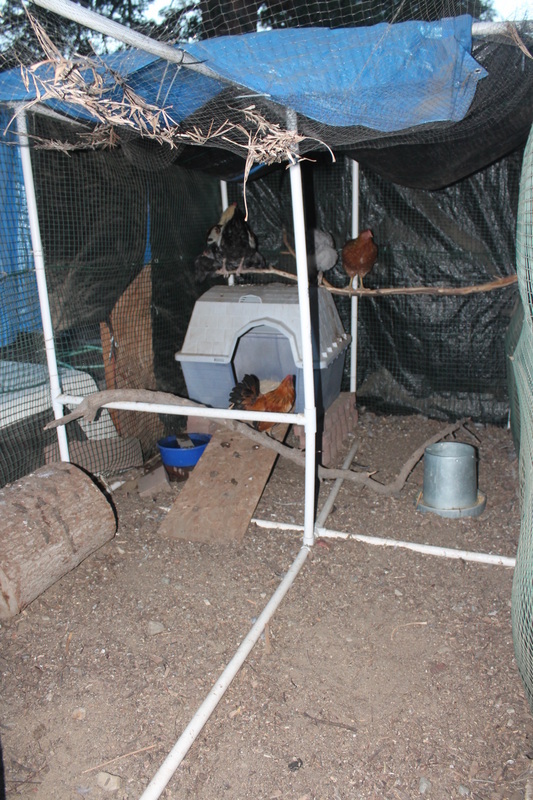 I used plastic fencing & cable ties to attach it to the pvc pipe. 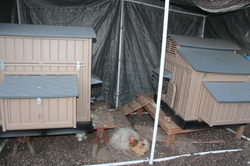 Although these automatic dog waterers need to be cleaned I love knowing my chickens aren't going to run out of water.